At a time when partial de-regulation of Diesel comes into place, Goa is the first city to witness Petrol prices cheaper than the Diesel. The contribution comes from both hike in Diesel prices and reduction of taxes on Petrol. Last year, Goa government took a huge step when they slashed the VAT to 0.1 percent and thereby reducing prices of Petrol cheaper by Rs 11 per liter. With the recent hike in Diesel prices by about Rs 1.02 incl. 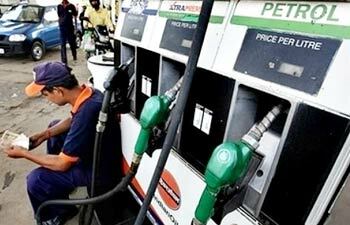 taxes, the current Diesel prices in Goa stands at Rs 52.70 against the petrol prices of Rs 52.10. We hope so the central government makes a uniform policy of taxes levied on fuel and hence we could see drop in fuel prices which are currently inflated due to huge tax burden on them.